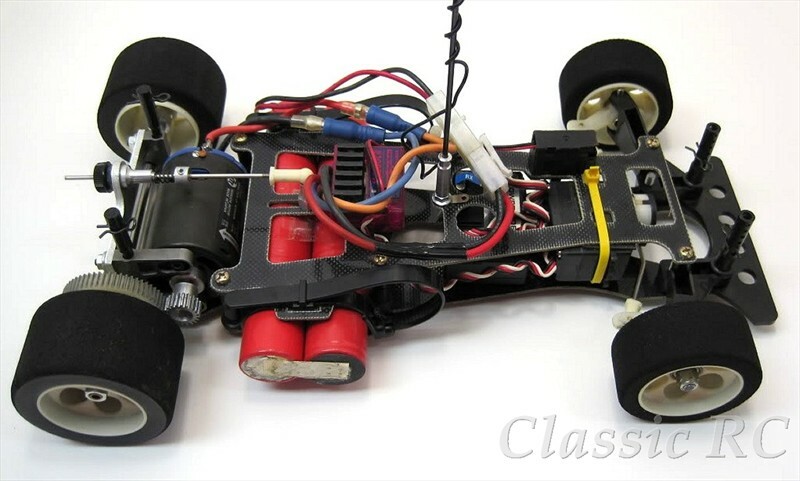 This car is a Tamiya New Man Porsche 956 RM MK 7, released in 1985. 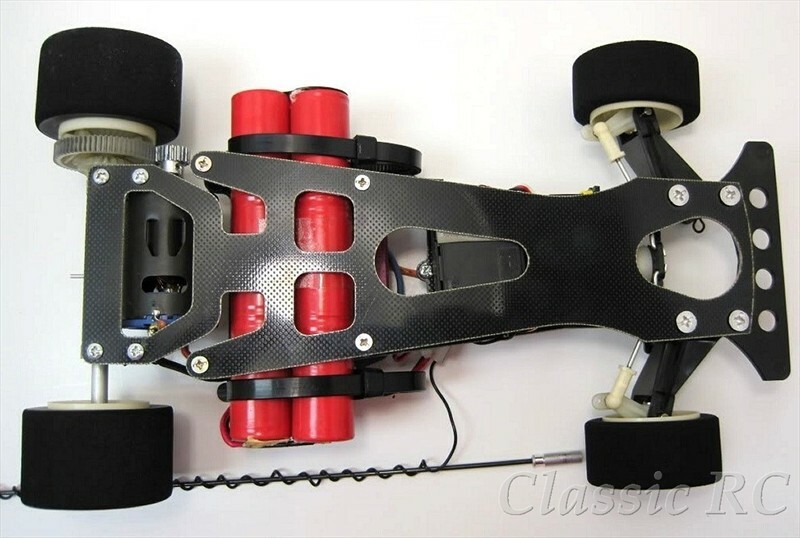 As other cars of the Racing Master series the MK 7 was designed for competition use, but Tamiya went with a new design. The radio tray was extended to the front end blocks so the main chassis was more stiff and the RM 7´s suspension could work better. Long radio tray like this was not very common with most other 1/12 cars, but some as the AYK Cyclone or some Mugen cars were using this also. 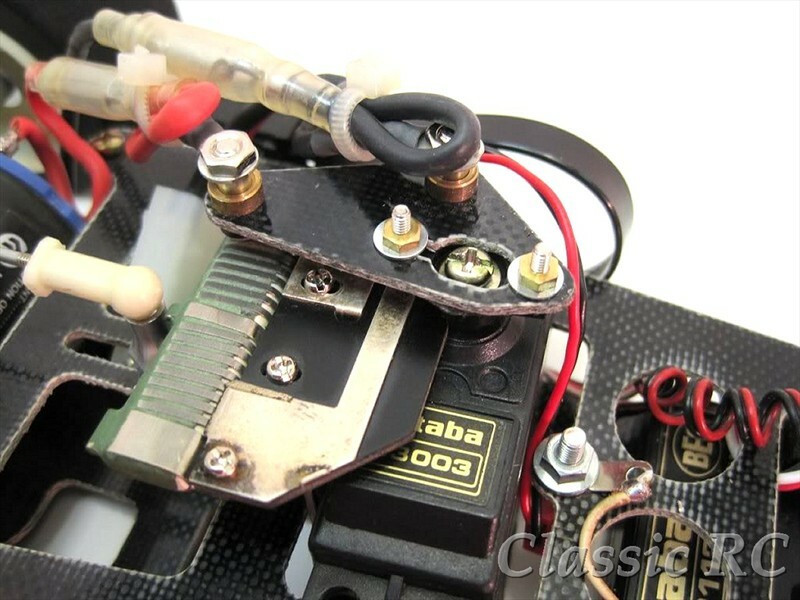 The lightweight fibreglass chassis was cutted for flex below the battery, assisted by a ride heighter adjuster above the motor. The front end was using springs now, the bumper was a lightweight version as the hollow front body posts. 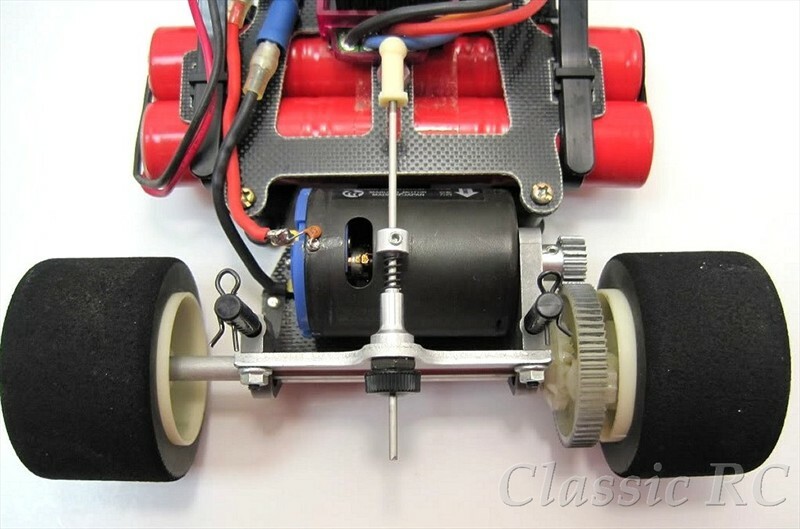 For the rear Tamiya went with aluminium rear axle blocks again, also with a gear type diff. Motor was an other version of their famous Black Mabuchi motors, the speed control was a new lightweight version looking similar to those used at cars of American manufacturers. For completing the MK 7, a very nice looking Porsche 956 body with New Man style stickers was provided with this car. Pictures for this Tamiya car were supplied by one of our visitors. Thanks for your support!